Well... the hole-in-display design is official. What do you think about it? We've been hearing for a while now that Samsung is preparing a smartphone with a... hole in its display. It wasn't really a secret — the company itself proudly announced its name a month ago, calling it the Infinity-O screen. What's special about it? 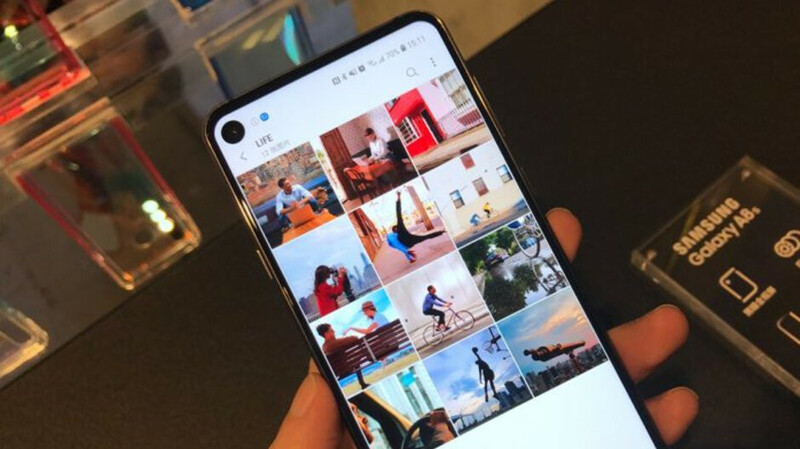 Well, instead of having a "notch" cutout at the top of the screen to hold a selfie camera and front-facing sensors, it only has a single, circular hole for the front lens. Technological achievement? Sure! A bit weird to look at? Well... possibly. The first Infinity-O smartphone has officially been announced and we have some actual real-life photos of it. After months of staring at leaks and renders, now we see how it will actually look. And why do we care? Because leaksters heavily insist that the Samsung Galaxy S10 will get one of these fancy new holes as well! Of course, this means they will get much thinner bezels all around, too. But if the price for uniform, thin bezels all around is having a display hole... is it worth paying? How do you find the first Infinity-O in terms of looks? So, how do you find that Infinity-O display? Nope, nope, nope... I'd rather have two Pixel 3 XL notches on my screen! It's... different... I can get used to that, I guess Oh, I like that! Nope, nope, nope... I'd rather have two Pixel 3 XL notches on my screen! what kinda vote options are these. I'd like to say I dont like it. But I wouldnt rather have Pixel 3 XL notches... Swing and a miss PA... Try harder. You are right. So far, ZTE Nubia X has the best solution for full screen display. There is no need for front facing camera, when rare facing cameras can do better job. Fully agree that this is currently the best solution. Rear screen and camera. So we should use a mirror and our phones while we're on a video call? Yep agreed. Best part is the coating hides the screen when it's off. Very genius. How often do u use selfie cam anyway?.. So turning phone around is no inconvenience at all imo. This is a picture of the A8. I'm sure the S10 and note 10 will not have huge holes. Looks great It's nice, BUT SPECIAL mention to ***Essential PH1**** they had teardrop First,back early 2017. Where is the Hell no option. I dont like notches or holes. In fact id love an all screen no selfie camera phone. Agree, i wouldn't care if they did away with the front camera either. I want thin bezels instead of hole or notch. It's better than a notch but still unacceptable for me. I think my NexS has the best solution with the pop-up camera. For those of us that hardly use the darn thing it gives a true all screen display whilst still catering for the snapchat morons. Not much better than a notch. Why not put all the sensors/cameras on the bezel or in a pop-up/slider? I'd much rather have that than have a chronically obvious blemish in the screen. Slider is having biggest disandvantage by water proof and frame weak points, as well not so friendly to cases all front glass is being exposed. How about a normal freaking screen that is not incomplete? Tear drop looks way nicer that that Massive hole on the left side, and thats the side where games on screen controls appear. What is the purpose of the tiny bit of screen above and to the left of the hole? Might as well be a corner notch. Not as bad as a notch but still wish we weren't going down this road. It's only a transitional approach and Samsung may have been better suited to keep smaller uniform bezels. smaller camera cutout and it's perfect, to me, at least. How does one clean the tiny hole when it fills up with pocket lint? Why would there be an indent or hole in the screen? The glass lays flat over current camera sensors. Dude, did you really ask that? To be fair, it IS being called a hole...but I'm going to assume @porky didn't really read he article. You can call it an eye!